The Heart Shaker Window & Frame Die-namics includes a heart die designed to create perfectly-sized holes in your card fronts and panels to accommodate our Heart Shaker Pouches. The 1/4" frame element will layer over the pouch to conceal the pouch edge and create a beautifully seamless look. 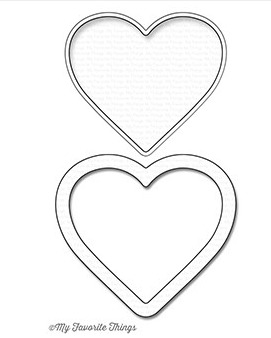 This 2 piece set includes: Heart 2 ¼” x 2”, Heart frame 2 ½” x 2 3/8”.